JOIN AS A COACH WISSEL INSIDER TODAY! Here are a few sample videos that our INSIDER’s enjoy as part of their membership! All Basketball Articles and Video Clips – New articles and video clips are continually being added so the total content will always keep increasing! Offensive Basketball Playbook -See your favorite Insider basketball offensive plays with easy access whenever you want it! Defensive Basketball Playbook – Save your favorite Insider basketball defenses with easy access whenever you want it! 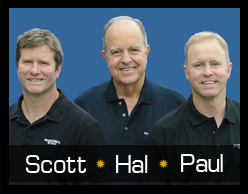 FREE Call to Coach Hal Wissel – Insider players and coaches can get their questions answered with a free 5 minute call. Just $60.00 for a year-long subscription. Monthly option available at $6.00 per month. You can always watch a limited number of our videos FREE anytime!